So off we set. 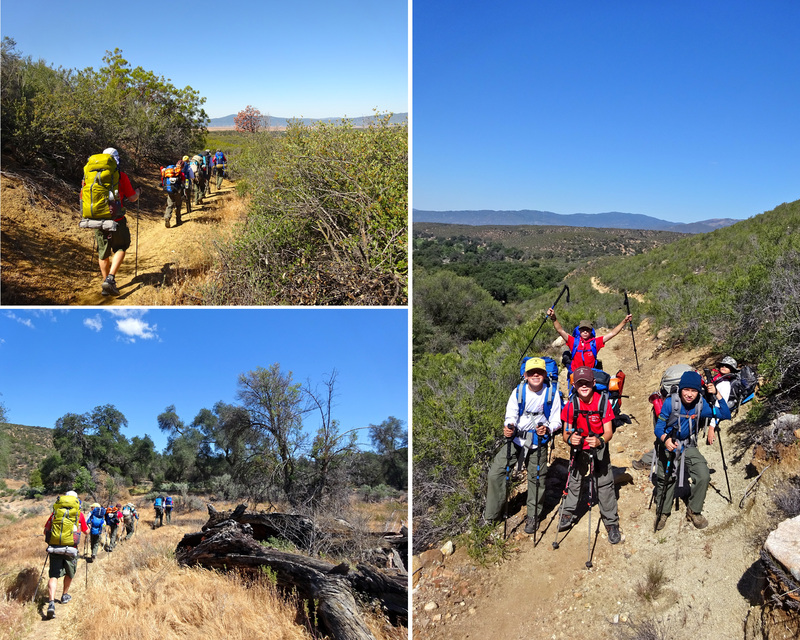 Mo, Rob, Zek, Michelle, and our palindrome of scouts shouldered our packs and hit the Pacific Crest Trail, just past the small town of Warner Springs, California. We hiked north 3.6 miles to a charming little grove of trees nestled alongside a creek. We had great weather for our hike (overcast and cool). There isn’t much shade along the trail until you hit the creek, so this was perfect weather as far as we were concerned. Hiking in on a cool Saturday morning. The first mile or so runs through golden meadows dotted by oak trees. 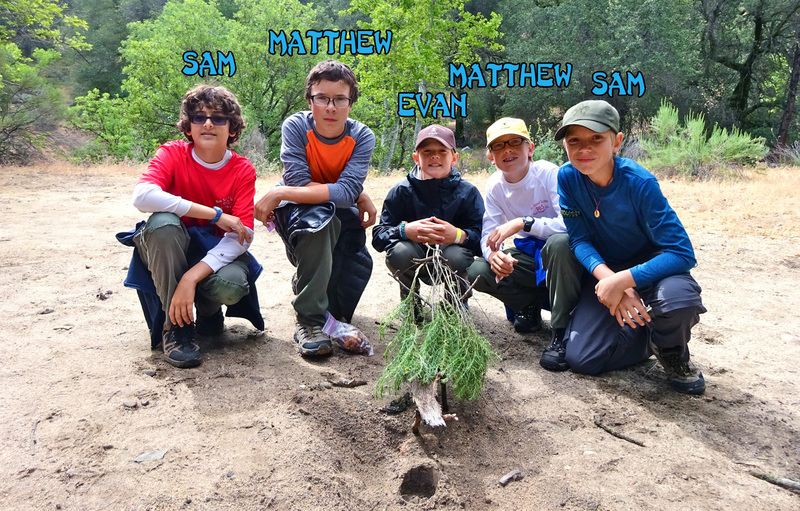 The boys are pointing out the Pacific Crest Trail marker. Zek and Michelle, the happy backpacking couple. Sam and Matthew, the dramatic backpacking pair. 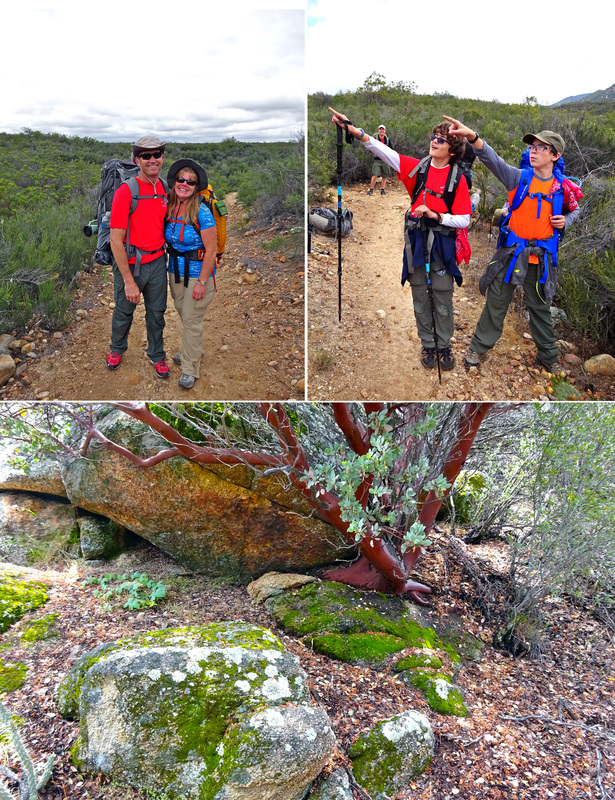 As the trail climbed, we moved into bushy, rocky terrain. I love manzanita trees with their rich, red bark. We also saw lots of moss and lichen, and came up with a mnemonic device to remember what a lichen is made up of. “Hi, I’m algae, and I lichen fungi”, since a lichen is a composite organism made up of symbiotic algae and fungi. In case you were wondering. 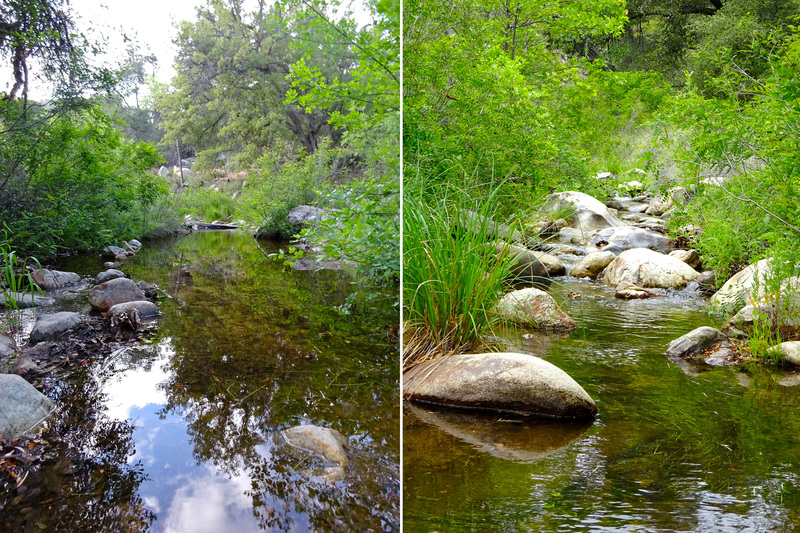 Two views of the tranquil Agua Caliente creek. It burbled and babbled, just like a good creek should. It was full of frogs and bugs and plants, and eventually Boy Scouts. The view we saw on our way out. Lovely flowers by the creek. A gurgling mini waterfall. Boys in a tree. What do free range boys do when they are released into the wild? Play cards and slam pixie sticks. Create a city in the sand. Catch frogs. Release frogs. Finally, make a super delicious dinner with Jet Boils and Mountain House. Remember earlier how I said the creek was eventually full of Boy Scouts? First they fell in and got their feet wet. Then Evan fell all the way in. 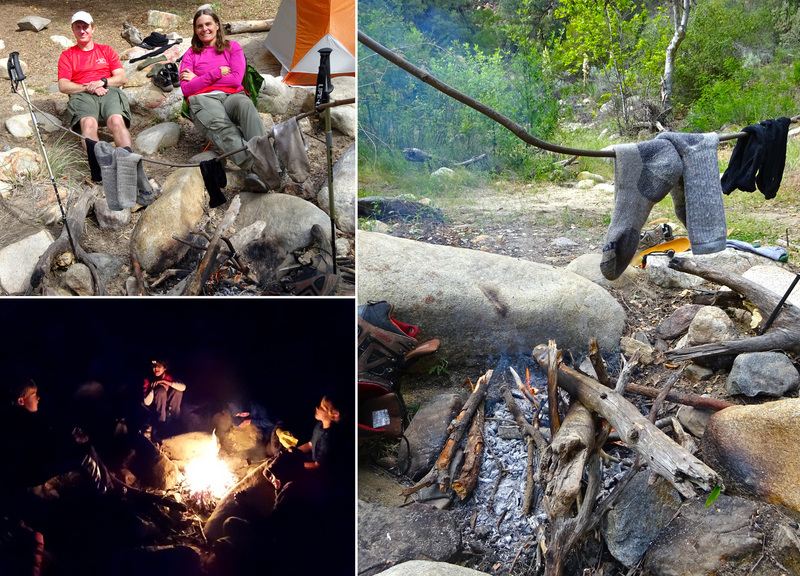 We built a small fire and dried pants, boots, and socks on a rotisserie made from Rob’s hiking poles and a stick. The fire was nice to hang out by after dark. 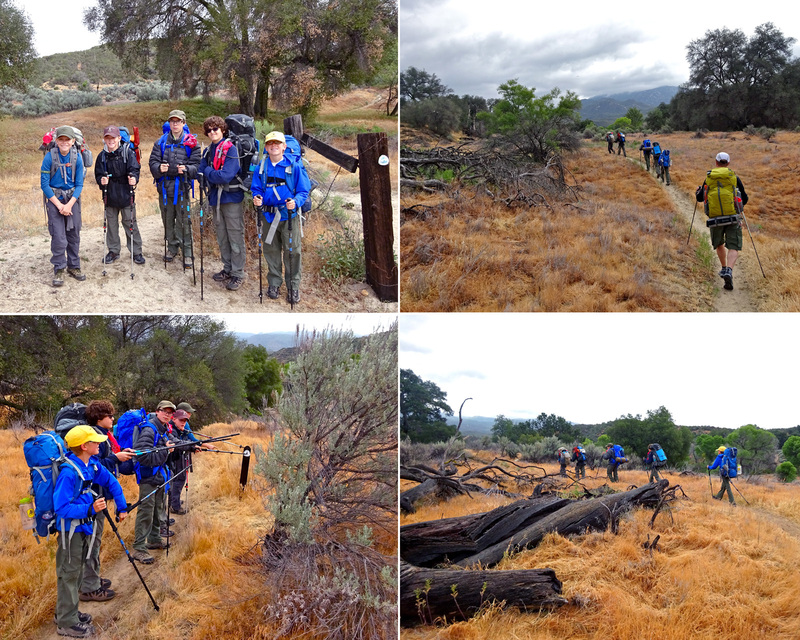 We were up in the morning and on the trail early, heading back to San Diego. Overall I think the trip was – wait for it – FUN E NUF! Oh yeah, got in one last palindrome! Check out these videos below from our trip. We have always been great fans of palindromes so your blog really wowed us. 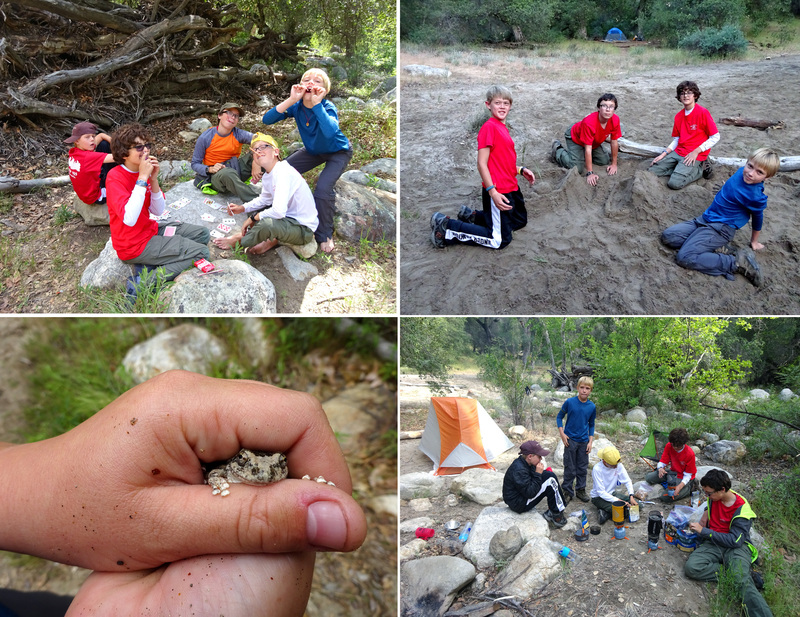 We liked the title “A Palindrome of Scouts.” Your creativity goes beyond, beyond. The boys looked like they were having a great time with the frogs. 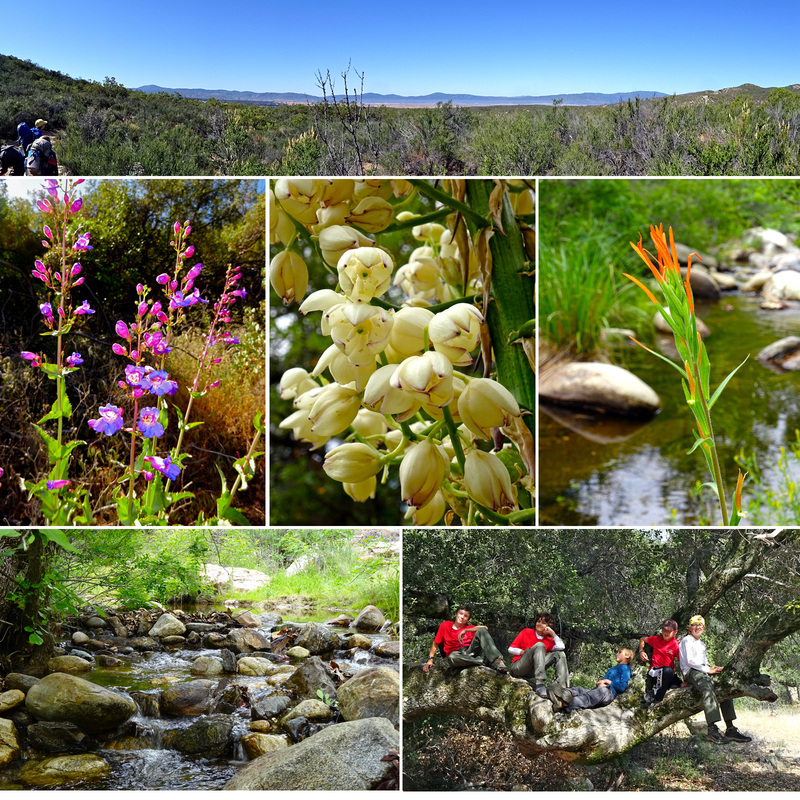 We loved the video of Agua Caliente Creek. It was so serene. Thanks for sharing with us. I debated putting that in…but we had a very wet scout and it was going to get cold. And it was so cozy!